Brian Kelley is vice chairman of the coffee company Keurig Green Mountain, Inc. after having previously served as president, CEO, and director since 2012. 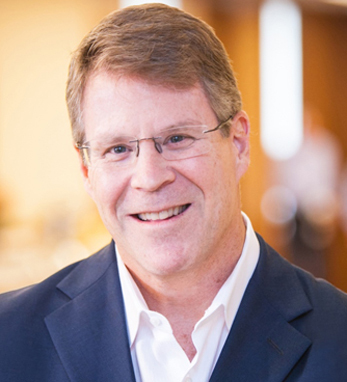 His business career has spanned 30 years, with experience at P&G, GE, the Ford Motor Company (where he was the president of Lincoln Mercury), and five years as the president and CEO of SIRVA (a $4 billion global relocation company which Brian took public in 2003). He joined Coca-Cola in 2007 as president of its $6 billion non-carbonated beverages business in North America, and in 2010 led the integration of the company’s acquisition of Coca-Cola Enterprises and the formation of Coca-Cola Refreshments. Brian was the third of seven children born to an Irish Catholic family in Cincinnati, Ohio. His great-grandfather, Eugene, emigrated from Co. Cork in the mid-1880s. A graduate of College of the Holy Cross with a B.A. in economics, Brian has served on a number of boards including Hertz, Mazda, SIRVA, VWR, and the Internet Capital Group. He and his wife, Michelle, have two daughters, Erin and Gwen.